With the 2015 NFL Draft only days away, ESPN has announced that there will be a slight change in its previously announced lineup of broadcast teams. ESPN announced today that Ray Lewis will remain at his home in Baltimore instead of travelling to attend the Draft. Lewis will stay in Baltimore in an effort to stop the violence in the city following the funeral of Freddie Gray. Lewis released a statement today explaining in his own words his decision, noting his belief that it was just the right thing to do. “I felt that it was more important for me to stay in Baltimore and try to help the city I love,” he said. “I greatly appreciate ESPN’s understanding and flexibility at this late date. I did not feel right leaving the city at this time.” He also released a video on his official Facebook page, making a heartfelt plea to end the violence. It can be viewed now via ESPN’s website at http://espn.go.com/video/clip?id=12781553. Officials with ESPN have announced the full schedule for its networks’ coverage of this year’s NFL Draft. Coverage of the 2014 NFL Draft begins next Thursday, May 8th on ESPN at 8pm ET. The broadcast will come live from New York’s Radio City Music Hall and will be simulcast on ESPN Radio beginning at 7pm ET. ESPN Radio’s broadcast of the NFL Draft will be anchored by Dari Nowkhah. Nowkhah will be joined by ESPN analysts Louis Riddick, Mark Schlereth, and ESPN.com senior NFL writer John Clayton. Freddie Coleman will host a post-first round broadcast beginning at 11:30pm ET. He will be joined by ESPN Insider Adam Caplan. Nowkhah and company will be back on the air the next morning, May 9th. The post-show broadcast that evening will come live at 11pm. It will be hosted by Kevin Winter. Winter will be joined by Adam Caplan for the broadcast. ESPN Radio’s draft coverage will also be available online at ESPNRadio.com. ESPN will carry coverage of Round 1 live with limited commercial interruption in the broadcast’s first hour for the third straight year this year. Baltimore Ravens great and NFL veteran Ray Lewis will join NFL Draft host Chris Berman as part of ESPN’s NFL Draft commentator team for the first round of the draft. Berman, who is now in his thirty-fourth year of covering the NFL Draft, will also be joined by ESPN NFL analysts Jon Gruden and Mel Kiper, Jr. Kiper is himself in his thirty-first year of covering the draft’s first round. Suzy Kolber will be on the floor, bringing viewers live interviews with draftees throughout Round 1 while NFL Insiders Chris Mortensen and Adam Schefter will have reports from an additional set. Trey Wingo will anchor the second through seventh round of the 2014 NFL Draft. Rounds two through seven will be carried on television on ESPN, ESPN2, and ESPNU. He will be joined by ESPN NFL analysts Trent Dilfer, Mel Kiper, Jr., and Todd McShay as well as NFL Insiders Chris Mortensen, and Adam Schefter and ESPN Front Office Insider Bill Polian. As an added bonus for viewers, ESPN will have a number of reporters imbedded with various teams throughout the networks’ coverage of the draft. Ed Werder will have live reports from the Houston Texans’ camp while Josina Anderson and Britt McHenry will have reports from the Rams and Jaguars respectively. Sal Paolantonio will be embedded with the Browns and Michele Steele with the Buccaneers. Bob Holtzman will have all the latest from the Minnesota Vikings camp. The complete broadcast schedule for the ESPN family of networks’ draft coverage is available below. More information on the NFL Draft and the ESPN family of networks’ NFL coverage overall is available online at http://www.facebook.com/NFLonESPN. To keep up with the latest sports and entertainment news and reviews, go online to http://www.facebook.com/philspicks and “Like” it. Fans can always keep up with the latest sports and entertainment news and reviews in the Phil’s Picks blog at https://philspicks.wordpress.com. ESPN Radio has released its early broadcast schedule for the 2014 MLB season. ESPN Radio’s 17th season broadcasting Major League Baseball includes some sixty-five plus games beginning on opening night, March 30th. Yasiel Puig and the Los Angeles Dodgers take head to San Diego to take on Chase Headley and the San Diego Padres to open the season. Coverage is scheduled to begin at 7pm ET. Opening Day will see David Ortiz and the Boston Red Sox on the road against Chris Davis and the Baltimore Orioles. Coverage of that game is scheduled for a 2pm ET start time. Along with coverage of games on Opening Night and Opening Day, ESPN Radio will also feature the farewell of Derek Jeter as he and his Yankees team mates host the Boston Red Sox on Sunday, April 13th at 7pm ET. Other big events that ESPN Radio will cover this season include: The Chevrolet Home Run Derby and the 85th All-Star Game from Target Field in Minneapolis, MN on Monday and Tuesday, July 15th and 15th. MLB fans can also tune in to ESPN Radio for full coverage of MLB’s post season. This includes coverage of the: NLDS, ALDS, NLCS, ALCS, and World Series. ESPN Radio’s current 2014 MLB Broadcast Schedule is listed below the times listed include the one-hour Baseball Tonight pre-game show. More games will be added to the schedule as the season progresses. More information on ESPN’s Major League Baseball coverage is available online at http://espn.go.com/mlb. To keep up with the latest sports and entertainment news and reviews, go online to http://www.facebook.com/philspicks and “Like” it. Fans can always keep up with the latest sports and entertainment news and reviews in the Phil’s Picks blog at https://philspicks.wordpress.com. The countdown to the 2014 FIFA World Cup begins this week. ESPN will mark one hundred days to the 2014 FIFA World Cup Tuesday, March 4th with three days of special programming beginning Monday, March 3rd. There will also be extensive digital content on ESPNFC.com and coverage of seven FIFA matches among much more coverage throughout the week. “American Underdogs” – Part I: This is the first of Roger Bennett’s four-part series focusing on the twentieth anniversary of the 1994 World Cup. It examines specifically the buildup to that year’s FIFA World Cup tournament in the United States. World Cup injuries report – Who’s in, who’s out? : As the buildup to this year’s FIFA World Cup tournament builds, John Brewin gives a report on all of the key injuries from the teams taking part in the tournament. How does a country win a World Cup? : Gabrielle Marcotti investigates what it takes to be the FIFA World Cup champion. Battling the elements: Teams will face not only each other in the FIFA World Cup tournament, but also Mother Nature. Brazilian-based journalist Eduardo Alvarez gives an in-depth look at the impact of the weather on the tournament. ESPN2 and WatchESPN will continue the ESPN family of networks’ special three-day coverage of the 0214 FIFA World Cup tournament on Tuesday with a special one-hour edition of ESPN FC on TV. The special broadcast will include previews and discussions of this year’s World Cup tournament as well as the launch of “American Underdogs,” which focuses on the twentieth anniversary of the 1994 FIFA World Cup tournament. 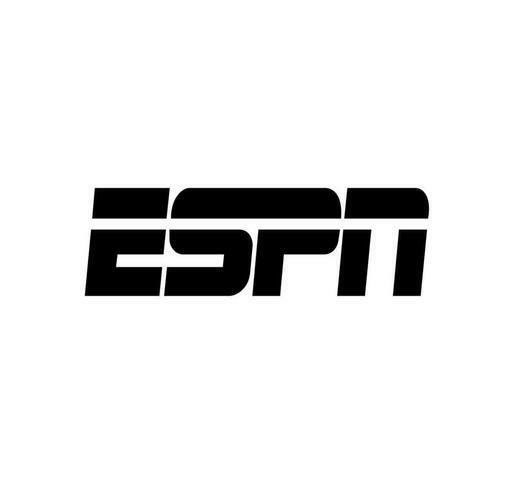 Tuesday’s hour-long ESPN FC on TV broadcast will air on ESPN and WatchESPN at 5pm ET. It will be hosted by Dan Thomas and former U.S. Men’s National Team players Kasey Keller and Alexi Lalas. They will be joined by analyst Alejandro Moreno, a former Venezuelan National Team player, live from Atlanta. Moreno will call matchup of Mexico and Nigeria Wednesday, March 5th on ESPNEWS and WatchESPN. That game can also be viewed online via WatchESPN. It will air at 8:30pm ET. The top 10 on-the-field questions leading into the World Cup. “American Underdogs – Part III: Alexi Lalas played in the 1994 FIFA World Cup tournament. He will personally discuss the legacy of that year’s tournament. A preview of Wednesday’s matchups, featuring key 2014 World Cup Teams – the only FIFA approved match date before the tournament. Analysis from ESPN FC’s European football experts Gabrielle Marcotti and Raphael Honigstein on the tournament’s top European teams. A “100th Day Out” countdown graphic that will appear on-screen throughout the course of the progam. It will also be featured on programming across the ESPN family of networks. The ESPN family of networks wind-down their special three-day coverage marking the countdown to the 2014 FIFA World Cup Tournament on Wednesday with seven international matches. That coverage includes the last official FIFA match date before the 2014 FIFA World Cup tournament. The schedule for those games is listed below. The ESPN family of networks will offer much more content and coverage beginning today, March 3rd on the 100-day countdown to the 2014 FIFA World Cup Tournament. More information on this week’s special three-day event is available online at http://www.espnfc.com and http://www.facebook.com/ESPNFC. To keep up with the latest sports and entertainment news and reviews, go online to http://www.facebook.com/philspicks and “Like” it. Fans can always keep up with the latest sports and entertainment news and reviews in the Phil’s Picks blog at https://philspicks.wordpress.com. ESPN winds down its Baseball Tonight Goodyear Express Tour this weekend. The tour finishes off this weekend beginning this morning at 9am ET. ESPN’s SportsCenter will feature live reports from the Cincinnati Reds’ training camp in Goodyear, Arizona. Baseball Tonight host Karl Ravech and analyst Jon Kruk will be joined by ESPN MLB Insider Tim Kurkjian for all the latest from the Reds’ training camp. Tomorrow—Saturday, March 1st—Kurkjian will have live SportsCenter updates from the Seattle Mariners’ training camp in Peoria, Arizona. Coverage of both teams’ training camps includes in-depth analysis of each team and interviews with both players and managers. ESPN’s MLB coverage picks back up on March 17th as the Worldwide Leader in Sports kicks off Spring Training telecasts that day. Spring Training coverage kicks off with a matchup between the St. Louis Cardinals and Boston Red Sox. Coverage is scheduled to begin at 1pm ET. ESPN’s complete Spring Training coverage schedule is listed below. More information on ESPN’s MLB coverage is available online at http://espn.go.com/mlb. To keep up with the latest sports and entertainment news and reviews, go online to http://www.facebook.com/philspicks and “Like” it. Fans can always keep up with the latest sports and entertainment news and reviews in the Phil’s Picks blog at https://philspicks.wordpress.com. The Super Bowl is over. The confetti has dropped. The pizza and beer are gone. So what’s a person to do now? Simple. Check out ESPN3 Monday, February 3rd for the 2014 FIBA Basketball World Cup Draw. ESPN3 will carry live coverage of the 2014 FIBA Basketball World Cup Draw Monday, February 3rd. Coverage begins at 1pm ET. The draw sets up the picture for this year’s FIBA Basketball World Cup. The annual draw is set up with twenty-four teams being split into four groups of six teams each. Among the teams involved in this year’s tournament are the defending world champion United States, Angola, Argentina, Australia, Croatia, Dominican Republic, Egypt, France, Iran, Lithuania, Mexico, New Zealand, Philippines, Puerto Rico, Senegal, Serbia, Slovenia, South Korea and Ukraine. Four wild card teams have already been announced for the tour. Those teams are: Finland, Brazil, Greece, and Turkey. The2014 FIBA Basketball World Cup tournament begins Saturday, August 30th. It runs through Sunday, September 14th and will be held in Spain this year. Audiences will be able to catch every game of this year’s tournament across the ESPN family of networks. ESPN, ESPN2, ESPN3, and ESPN Deportes will combine to carry full coverage of this year’s tournament. The preliminary rounds of this year’s tournament will be played in Bilbao, Granada, Las Palmas de Gran Canaria, and Seville. The tournament’s final rounds will be held in Barcelona and Madrid. Kevin Durant, Kevin Love, Tony Parker, Manu Ginobili, and Marc and Pau Gasol are thought to be potential names involved in this year’s tournament. More information on the tournament is available online at http://fiba.com/spain2014. To keep up with the latest sports and entertainment news and reviews, go online to http://www.facebook.com/philspicks and “Like” it. Fans can always keep up with the latest sports and entertainment news and reviews in the Phil’s Picks blog at https://philspicks.wordpress.com.